The year is 1996. A cataclysmic plague descends on earth. As its infection spreads, hope fades. But you and your dog fight back. 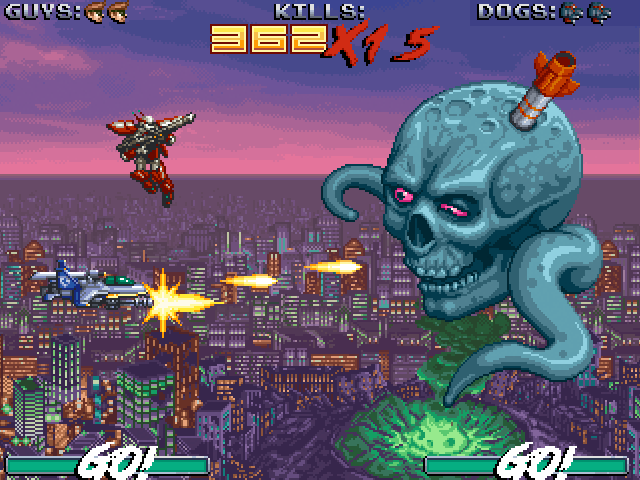 Piloting the prophetic weapon, SKYCURSER, you take flight to destroy the Necrostar’s mutant hordes and save the planet. 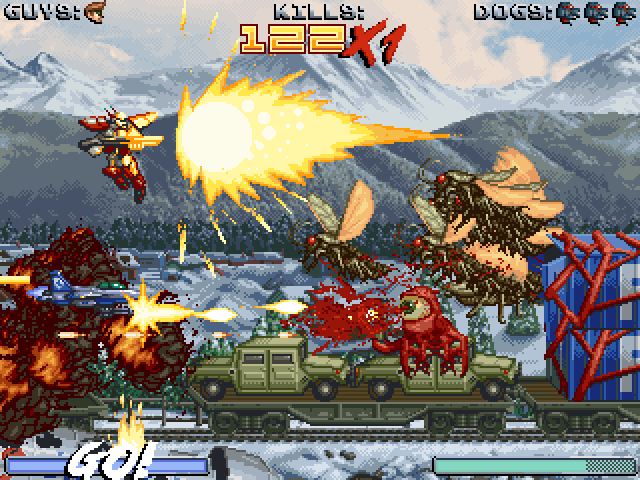 SKYCURSER is a frantic, hard-action shoot ‘em up drawing crowds of players at arcades and across the globe. 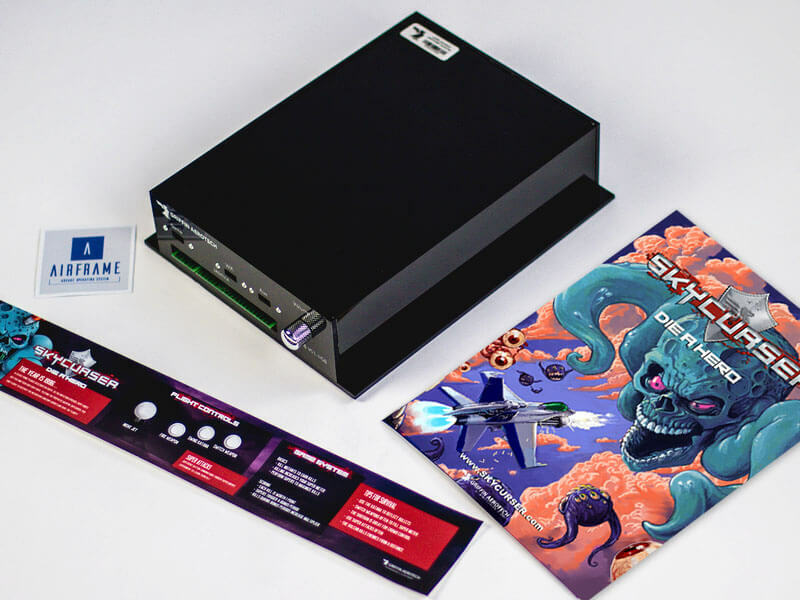 Available today as a dedicated cabinet or JAMMA conversion kit, SKYCURSER is an exciting new chapter in arcade gaming’s rich history. 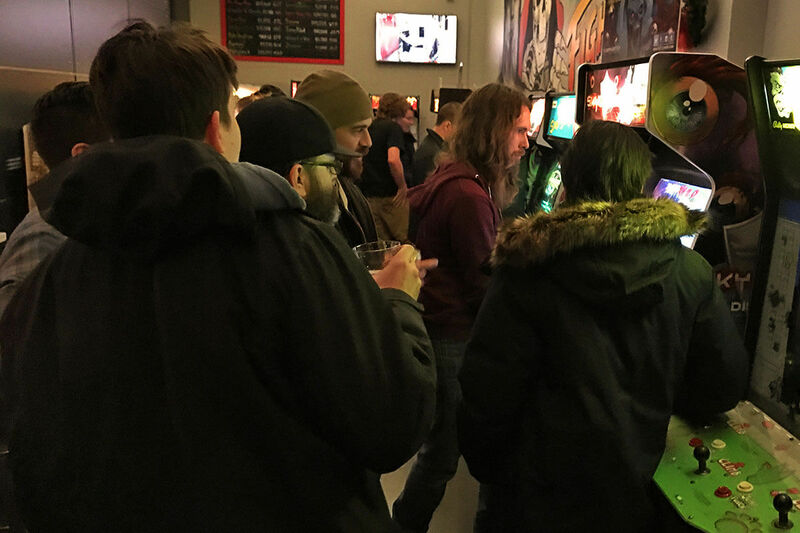 "SKYCURSER is awesome, everyone at the Galloping Ghost has been diggin’ it"
"Skycurser developed an instant following at Tappers Arcade Bar and introduced a lot of people to the shmup genre due to its amazing graphics, sound and pixel-perfect hit detection." "Skycurser feels like an amazing game from the 90s that you never knew existed. It’s like Splatterhouse in the sky!" 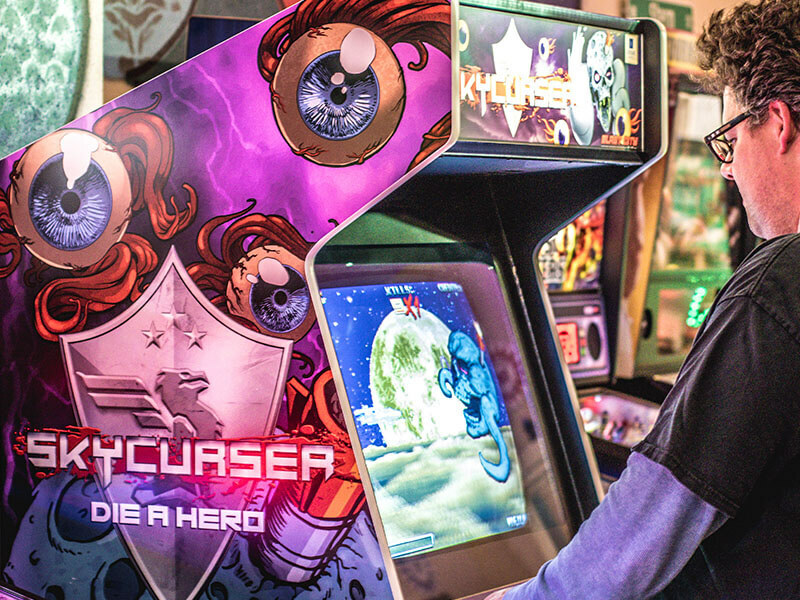 "SKYCURSER is a living, breathing, retro arcade game. A montage of every artistic flair that caught our eye back in the day." SKYCURSER features a bombastic synthwave soundtrack that drives the action along and gets players’ hearts pounding. Crank it up to eleven and splatter some mutant scum! Available for free download via Soundcloud! Combining tight and punchy gameplay with over-the-top aesthetics, SKYCURSER is built to pull in a crowd. 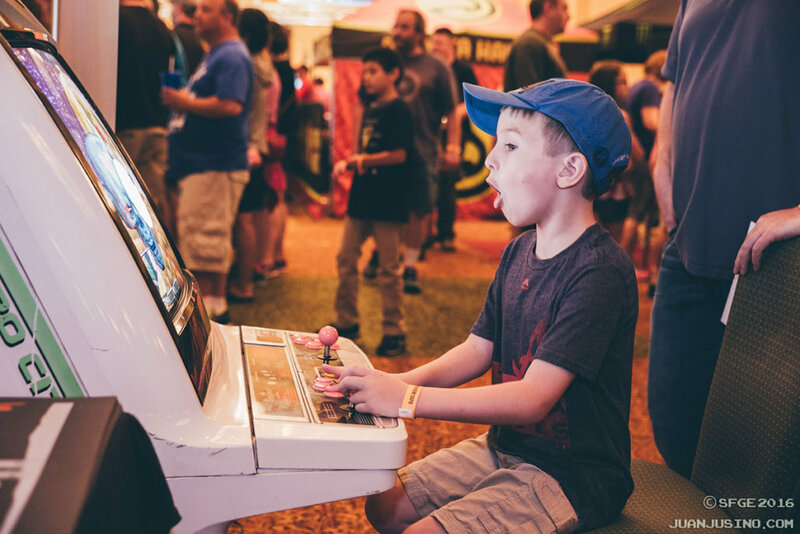 With two-player simultaneous gameplay, it’s double the fun. 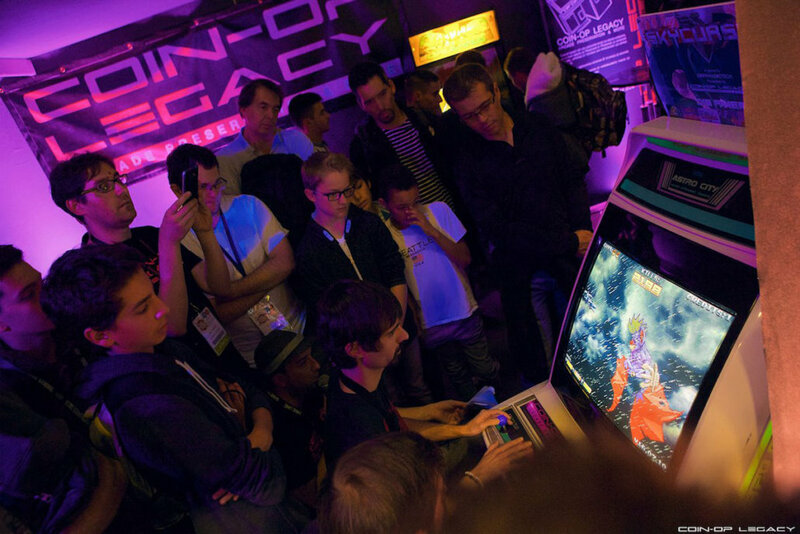 Operating today at arcades across the globe, SKYCURSER has established itself as an international phenomenon. Running on our all-new professional hardware platform Airframe: Arcade OS, SKYCURSER is designed to draw crowds and earn plays on location. 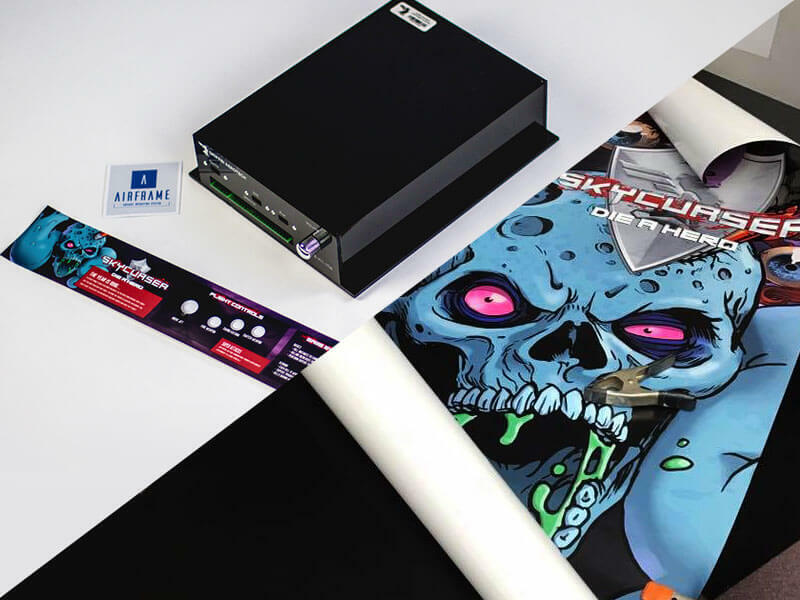 Game hardware, software, A4 poster and movestrip artwork. 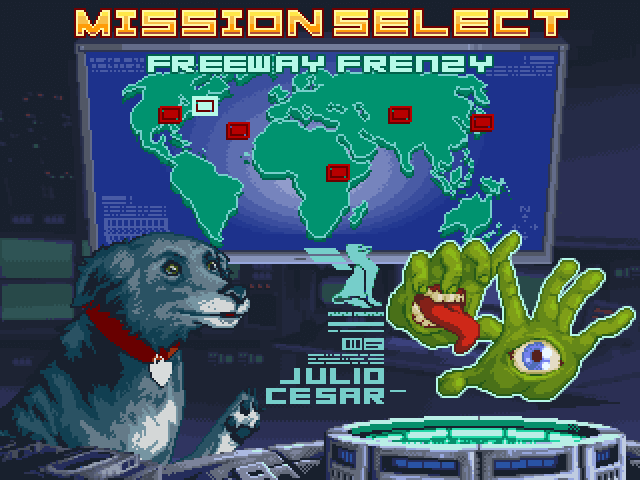 Game hardware, software and complete conversion artwork package. Complete premium cabinet ready for the arcade floor.